After these heartfelt, motivational addresses, the official sessions for the day were begun, and included discussions on Raising Awareness for SDGs, Education and Expertise for SDGs, Entrepreneurship & Innovation for SDGs, and Philanthropy & Financing for SDGs. A highlight of these sessions was a keynote presentation by Hugh Evans, the Founder and CEO of Global Citizen. In his address, Hugh told the story behind his impetus for starting the organization, which was a friendship he developed with Sonny Boy, a fellow teenager who lived in a Manila slum, while he was on a trip to the Philippines to learn more about the realities of extreme poverty. Hugh continued to explain that Global Citizen’s path to success and international recognition was both unexpected and by no means easy. After initially convincing Australian politicians to significantly increase their commitment to developmental aid, a change in government in the early 2000’s caused Hugh and the other organizers to realize that Global Citizen needed to mobilize long-term policy action which could not be weakened by fluctuations in the political environment. Global Citizen, in its current form, was then born in 2012 to incentivize and support millions of individuals to take action for a sustainable, more progressive world through global festivals and concerts. Other highlights of the day included an emotional, heartening speech by Tabitha Mpamira-Kaguri, who spoke about the importance of unifying value, purpose, humility, and community, and her initial motivation for founding the EDJA Foundation, an organization which fights child abuse and sexual assault in Sub-Saharan Africa. In addition to incredible presentations by representatives of the Millennium Campus Network, the Kailash Satyarthi Children’s Foundation, Tespack, and many other organizations, the young leaders were encouraged by SDSN Youth’s commitments to fostering youth solutions and leadership for the SDGs. Indeed, presentations on the SDG Students Program, Youth Solutions Program, Global Schools Program, and Move Humanity demonstrated that SDSN Youth is devoted to educating youth on the SDGs, inspiring and scaling youth solutions, mobilizing financial support for youth solutions, and developing pathways for continued education and community partnerships for sustainability. 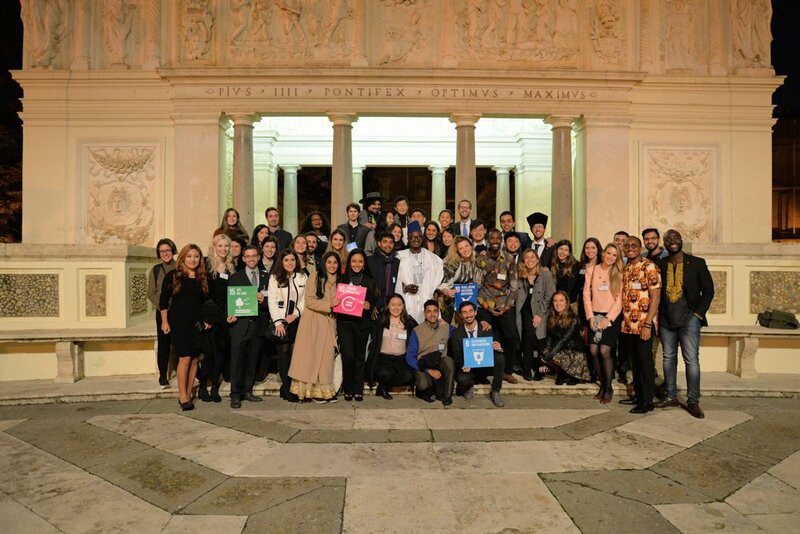 The sessions were followed by updates from eight individuals who had attended previous Vatican Youth Symposiums and used their experiences from prior years to propel their work for the SDGs. The updates were thorough, exciting, and served as one of the best sources of evidence for the power and change that can be sparked simply by connecting young individuals to the guidance of other passionate young thinkers, leaders, and dreamers. All-in-all, the day-long proceedings were a testament to the imperative role that youth play in achieving the SDGs. Our world may present significant challenges to youth engagement, but there are plenty of global issues and disciplines that need the guidance and perspective of young individuals in order for lasting change to be realized. Any individual motivated by the leadership of our attendees or the work of their organizations is encouraged to reach out, get involved, and stay engaged with the SDGs. 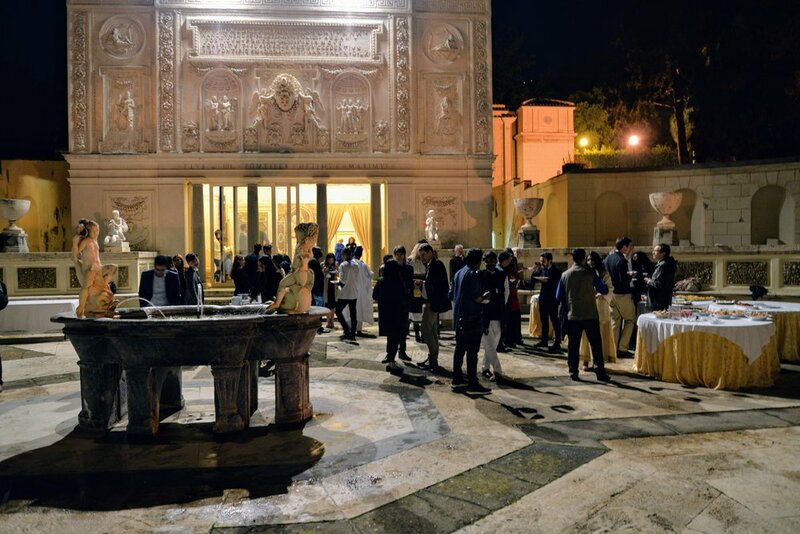 And links to video clips from this year’s Vatican Youth Symposium can be found on Casina Pio IV’s YouTube channel. Special thanks go to Dr. Betsee Parker, whose generous contribution made the Vatican Youth Symposium possible, as well as Kayla Colyard, Gabriella Marino, and the entire PAS team for making the event a success. Sienna Nordquist is a third-year Robert W. Woodruff Scholar at Emory University studying International Studies and Economics. She is a Project Officer with SDSN Youth’s Networks Team, focusing on the SDG Students Program, in addition to being the Co-President of Red Light at Emory.